Are you an Australian citizen thinking of relocating to the U.S.? Perhaps you’ve already moved but don’t fully understand the U.S. tax code, or how it might affect your financial holdings. In fact, thousands of Australian citizens move to the U.S. each year and are immediately subject to the U.S. tax system, yet many Aussie expats do not have an effective tax strategy in place. The International Tax Team at EFPR Group is providing a free e-book that provides an overview of the essential tax issues you should consider pre-departure and upon arrival to the U.S. Our goal is to help eliminate unnecessary taxes or penalties, and to help you navigate the process. 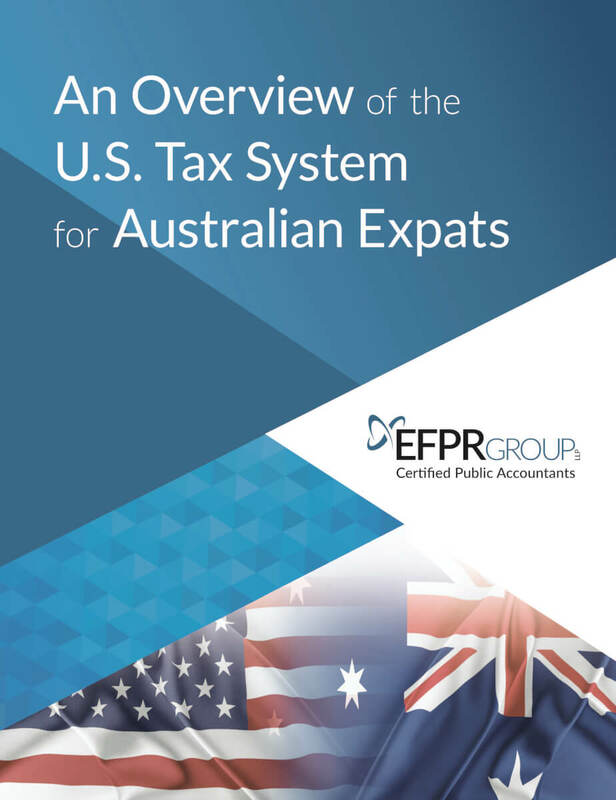 While not intended to be a comprehensive review of every U.S. tax requirement, this book highlights some of the most important U.S. tax principles for Australian expats to understand. Please complete our form to better understand how relocating to the U.S. will affect your tax liability; tax reporting requirements for worldwide assets; how Superannuation funds must be addressed; and elements of the U.S. tax reporting system that affect Australian expats. Don’t be caught unprepared or without the critical information you need to make an informed decision. Call today.